Heather Fipps is a filmmaker, designer, and video editor. She earned her MFA from California State University, Los Angeles in Television, Film and Theater Production, where she is now an assistant professor in the Department of Television, Film, and Media. She works in a variety of genres including narrative and documentary films, commercials, and television shows. 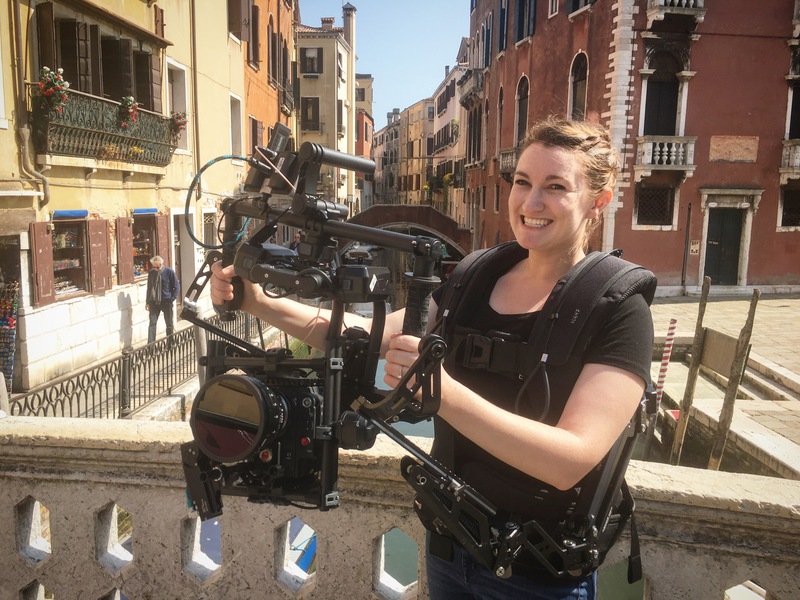 As an independent filmmaker, she has developed projects for clients such as the Los Angeles Children’s Court, California Air Emissions Board, and the New Jersey State Department of Health. Her design work has been seen on BBC, CBS, PBS, SyFy, and Netflix. She also works as a video designer for multi-media theatrical productions in New York and Los Angeles. Most recently, she directed the documentary: “Rio Terà De Pensieri: Process Collettivo.” The film follows Mark Bradford at the United States at the 2017 Venice Biennale, and his collaboration with Rio Terà dei Pensieri, an Italian nonprofit that creates opportunities for skill-based training and reintegration for inmates in Venice prisons. It was an official selection in the Venice Human Rights Cultural Festival. At Cal State LA, she serves as Director of the Student Production Unit, a community engagement initiative. Through the Student Production Unit, student filmmakers are partnered with local nonprofits in order to be able to share important community initiatives with a wider audience, as well as provide a high-quality media product that the nonprofits can use to further their work.The initiative is made possible by a grant from Hauser & Wirth, of which Heather is the Principal Investigator. Together they redefine the role of filmmakers as neighbors and community partners committed to meaningful social service. The Student Production Unit is comprised of 3-4 student assistants who are hired for one semester to direct documentary film and media projects intended to empower the voices of our neighbors and their communities. Students engage and collaborate directly with community partners, non-profits and change-makers. The project is co-sponsored by the international art gallery Hauser & Wirth and the final films are screened publicly at the end of the semester. In order to be considered as a Director for the documentary projects, students must have completed the course TVF 4000 Community Impact Media.